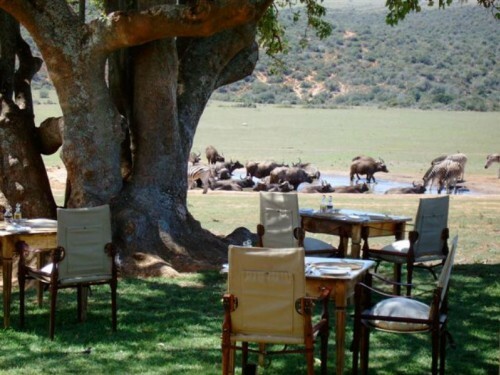 The thrill of quietly watching a herd of elephants stroll by, while sipping tea on the veranda of a stately colonial manor house is the unforgettable stuff of dreams. 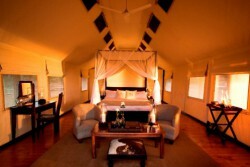 This exclusive safari lodge recaptures the romantic mystique of authentic safaris from centuries past. 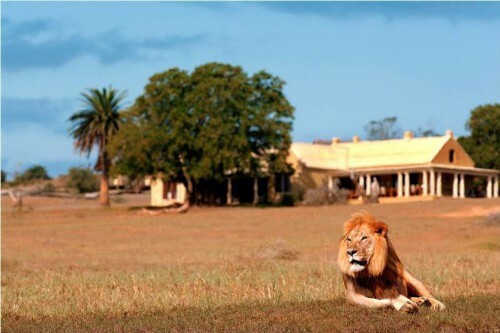 Experience the breathtaking natural world of Africa merged with colonial nostalgia and modern sophistication to deliver an unforgettably unique 5 star adventure. 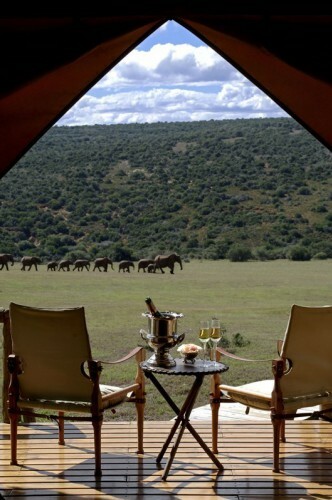 Gorah is the only private concession and Camp situated in the middle of the famous Addo Elephant National Park, home to the densest population of elephants on earth. 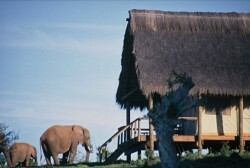 The park is malaria-free, has the Big 5 and is a member of Relais & Chateaux. 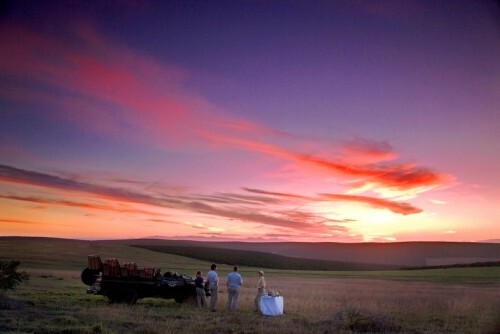 During the colonial era, the vast expanses of land, wild animals and fascinating encounters with rural tribes, led to legendary tales of Africa that have shaped history and drawn more and more visitors to this magical and mystical place. Discover its captivating rhythm that calls for adventure and fills your soul with an intense passion for the ever changing landscape, the majestic animals and the cultural diversity. The 1900’s was a time where the elite indulged in the extravagance of crystal, polished silver, white linen and G&T’s in the afternoon. 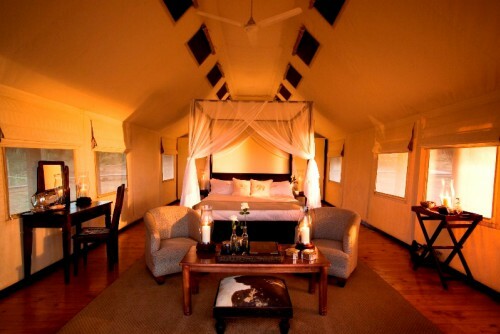 At Gorah, guests are transported back to this era through the day-to-day luxuries offered at the Camp. 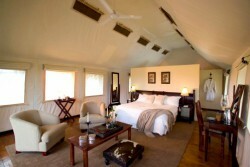 11 stylish tented suites entice you to stay Sheltered under thatched canopies with private decks, the magnificent en suite tents are spacious and luxurious, recalling the golden era of safari in the early 1900s. Each is enhanced with the fine comforts and excellence associated with Hunter Hotels and Relais & Chateaux. To ensure that guests never want for any comforts during their stay, the 11 tented suites are superbly equipped with all the modern necessities required for a 5 star experience. Hairdryer, personal in-room safe, bathrobes, slippers, Charlotte Rhys body products, umbrellas, complimentary sherry in the room. Please remember that Gorah does not run off electricity but solar and generator power. 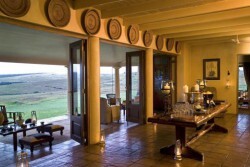 Guests staying at Gorah get to go out on game drives and have access to all the facilities on offer at the lodge. You can soak up the sun, shop, read, enjoy a glass of wine or share your adventures with your companions in the comfort and splendour of Gorah house. Open verandah with views over the waterhole, large lounge with a fireplace, spacious swimming pool with pool loungers and complimentary Wi-Fi access in the reception area. The heritage of Gorah is bestowed in its history, its animals and the landscape. 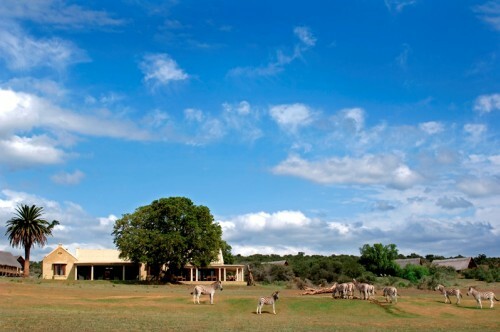 Children staying at Gorah go on an exciting journey through time to discover the enchantment of this distinctive camp and the incredible Addo National Park. At Gorah we create a fun environment for children. They experience what it was like to walk in the shoes of the forefathers who lived at Gorah. 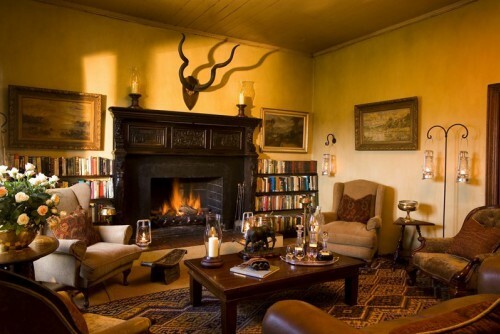 The guides take special care to spend time with the children on game drives or back at the camp, teaching and guiding them through the wonders of history, nature and the African bush. Children 8+ can go on game drives and welcome children from 8 years. Cancellations between 7 & 30 days prior to arrival will result in 25% of the total cost of the stay being withheld. Cancellations between 6 & 4 days prior to arrival will result in 50% of the total cost of the stay being withheld. 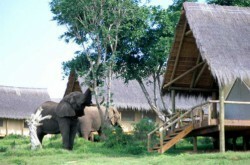 Cancellations within 4 days of arrival will result in 100% of the total cost of the stay being withheld. Premature departures may be charged for the full extent of the stay that was booked and confirmed. 11 stylish tented suites entice you to stay Sheltered under thatched canopies with private decks, the magnificent en suite tents are spacious and luxurious, recalling the golden era of safari in the early 1900s. 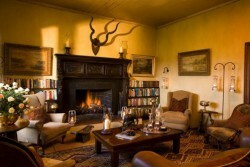 Each is enhanced with the fine comforts and excellence associated with Hunter Hotels and Relais & Chateaux. Dinner is a real occasion at Gorah. As you enter Gorah House with its historic magnificence, the magic surrounds you. 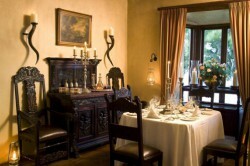 Estate wines are carefully chosen to enhance the dining experience. 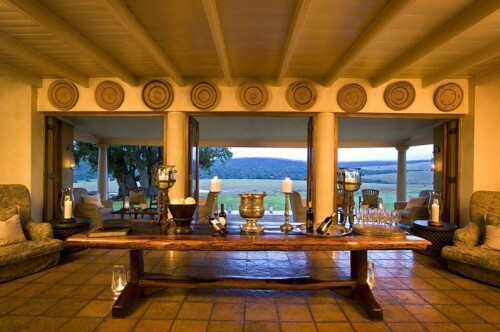 Al fresco dining under the African sky.The colonial veranda of the Gorah House overlooks the watering hole and the rolling plains. 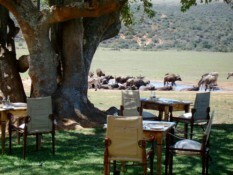 Together with the secluded boma area, they are idyllic settings for that unforgettable dining experience. Travel east on the N2 from Port Elizabeth, taking the N10 towards Patterson and follow signs to Gorah. Car rentals and car transfers are readily available for the 70km drive from the airport to Gorah. It’s a comfortable 3 hour drive of 300kms from The Country House or Tsala Treetop Lodge. Distance from Major Towns: 84kms from Port Elizabeth and 215kms from East London. 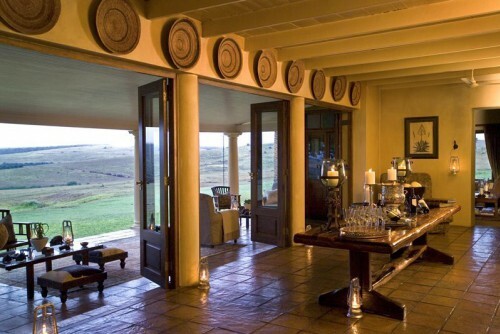 Access by Air: Charter flights are available from all major centres, including Plettenberg Bay, with a 20 minute transfer between the landing strip and the Lodge. There are also frequent scheduled flights directly into Port Elizabeth (1hr tfr to Gorah) from all major centres in South Africa.